The market for web, mobile, gaming and desktop apps has never been more hotly contested. Apps for Apple’s iOS devices battle those for Android devices, games for Xbox 360, PS3 and Wii battle one another, and Apple’s recently launched App Store battling Google’s Chrome Web Store. So many options, with as many areas for developers to monitor the good and bad with their creations. No doubt this leads to developers wondering how to test apps, in an everyday environment, to ensure the products they peddle to the public are top-notch. Why? One buggy app, or one bad review can spell doom for an app which one has spent so much time, energy and money creating. uTest (free) is an iPad and iPhone app that aims to alleviate some of the issues faced by developers when launching an app by providing real-world testing of apps through its community of 30,000+ professional testers from over 160 countries. How does uTest work? By offering functional, usability and load testing services, uTest aligns those wishing to test apps with those who want the best feedback on their apps. 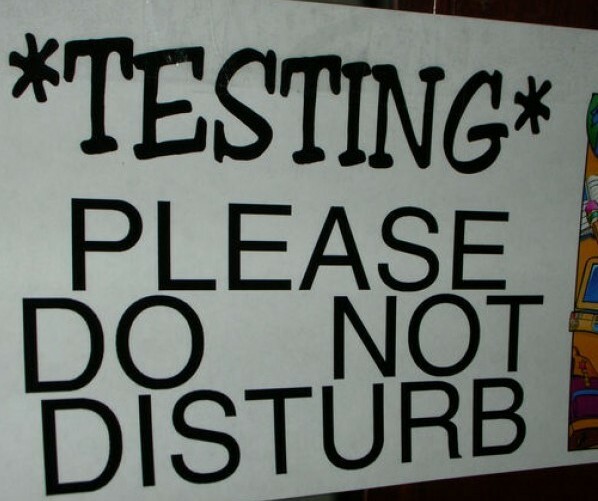 For testers, by visiting the tester site and registering, not only can one participate in test cycles, submit bugs, reply to messages, and more, but there are also, in some cases, financial incentives for doing so. For creators of apps, uTest allows one to monitor test cycles around the world, view bugs, reply to tester messages, and more, with free quotes to participate in the service outlined on the uTest site. Both the uTest iPhone and iPad app are grand ways for app creators to keep up with their offerings anywhere, at any time. With real-time feedback on anything that’s bugging (bad pun) testers, developers can view specific issues via screenshots and videos right added right from one’s phone, or simply by reading messages from testers and responding in kind.